Today, many industries are facing not only technology challenges, but more importantly, the expiration of their current business models -- the way a company creates, delivers, and captures value. 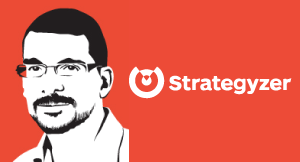 Alex Osterwalder talks about the need for companies re-invigorate or develop new business models because their legacy business models no longer give them a competitive advantage. It is not enough to focus only on technology innovation. Business model innovation is about reinventing yourself or rejuvenating your business model. The reason it’s important today is that many of the legacy business models expire, and it’s not just in technology. Take the pharmaceutical industry. Their business model of selling blockbuster drugs doesn’t work anymore, so they need to reinvent themselves. And the reason why it’s important today is because so many industries are facing this challenge. And the reason why we really pushed this topic of business models is because technology and innovation, great new products just not enough anymore. That just gives you the ticket to compete. What you really want is a great product, great technology, great value proposition embed it in a powerful business model. It’s that combination that will give you, at least for some time a competitive advantage. Business model innovation is one particular type of innovation, which is how am I creating, delivering, and capturing value? So it’s at a very strategic level and it’s so hard to do because it can you not be a fundamental change for an existing company. If you’re a pharmaceutical company that has done the same you know work the same way for decades, it's very hard to change the entire business and the same in industry. IT you know, consumer goods, you have to change or maybe add a new kind of DNA to what you have been doing for the last decades – that’s very hard to do. Lean Startup = Business Model Design + Customer Development + Agile Engineering. Lean Innovation applies these principles to established organizations.